YO, Gonna drop a little TMNT art right chea. 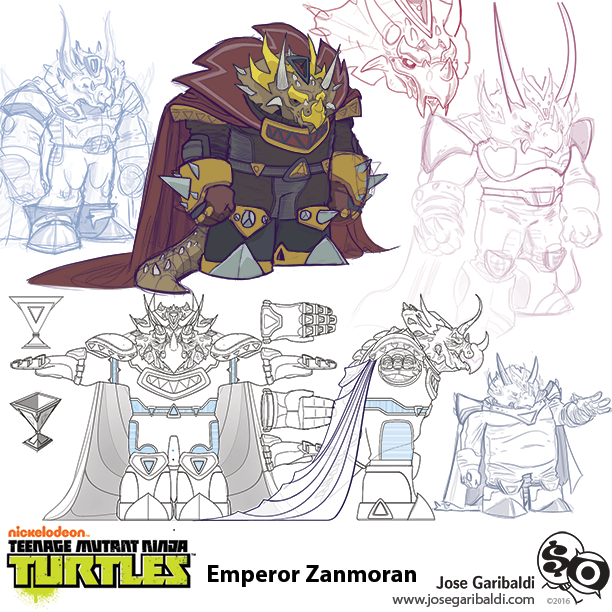 Triceraton Emperor Zanmoran concept sketches and some character turn art, created some time in 2015. This is from the season 4 episode,"The Arena of Carnage" and voiced by one of my favorites, Michael Ironside. There is a lot of great work by a bunch of talented folks on this show. I recommend you check it! Please click on the image below for a larger version!